Interactive Graphics is a boutique design, development and programming shop. We specialize in the technology of web, email, mobile and multimedia applications. We provide complete solutions including hosting, email, fax-to-email, e-commerce and email campaign management. 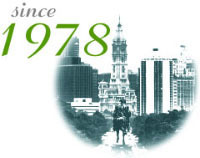 Founded in 1978 as a slide presentation developer, Interactive Graphics has been serving the Delaware Valley for over 35 years. Interactive Graphics is a full service provider of web and multimedia communications services, specializing in web design, programming, hosting, email management and e-commerce. Our goal is to be the provider of choice for businesses in the Delaware Valley. We strive to be Best in Class for each product and service we offer. We spend a great amount of effort at researching and learning new internet and web technologies. This helps our clients move forward and keep up. Leading edge, not bleeding edge.